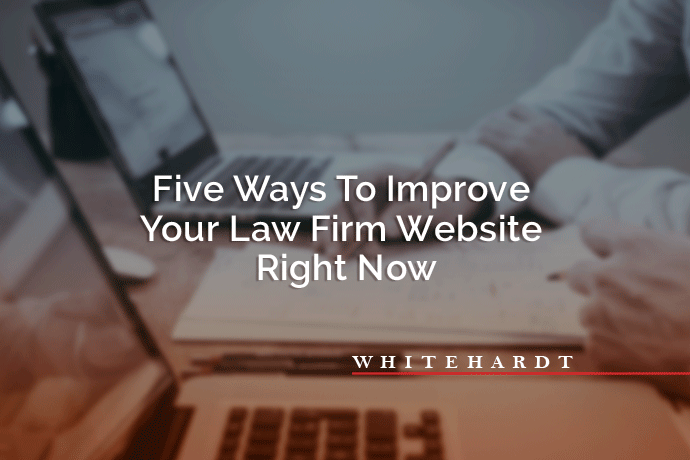 Maintaining your law firm’s website can be a daunting task. Whitehardt is here to make it easier on you and your practice. Below are five quick optimizations that can be done to improve your website right now. Potential new clients want to ensure that they are in good hands. Testimonials provide social proof that your law firm takes an interest in and cares about your clients. This is a great opportunity to illustrate the strengths of your law firm beyond its years of experience. It can be highlighted that your law firm is communicative with their clients, and that no question goes unanswered. It is also a way to showcase that your law firm recovers settlements, and that clients leave your law firm happy. If you are lacking in your reviews, email some of your former clients to see if they will respond with a few good words about their experience with you that you can add to your website. If you know that your law firm is prompt in answering leads and your intake team is receptive and compassionate, ask for a quick written review during the sign-up phase. One of the most visited pages on a law firm’s website is the “About” page, where a law office typically write summaries about their practice’s history, values, and organization. Most people want to know who they will be working with at the law firm. Highlighting the attorneys at your firm allows you to showcase the credentials, qualifications, education, and experience of your staff. Potential new clients will feel comfortable with the expertise of your team. We are in a mobile-first era, where the majority of your visitors will be looking at your website on their smartphone. Do you know how your law firm’s website looks on a mobile device? You will want to check for a few things to ensure that your website’s user experience is optimal. Your law firm’s website design should be easy to use on different devices. You can look at it on your mobile phone, tablet, and desktop. If on a desktop, take the browser window and widen and narrow it. Take notice of how your website’s content adjusts to different screen sizes. Your phone numbers should be set up as “click to call”. A potential new client should be able to tap on your phone number and be able to contact your law firm with one click. Your website should also have a call-to-action to get in contact with your firm and it should be above the fold. If you are unsatisfied with how your web pages look on your smartphone, call us and we can provide a free consultation on how to improve your online presence. Search engines reward relevant and interesting content by ranking them higher. Search engines make these determinations based on a few factors: how long visitors stay on your website, how many pages they visit on your website, whether they visit competitor websites after yours. Your law firm’s social media pages’ and profiles’ followers are comprised of an audience who has already shown an interest in your law firm. They are more likely to stay on your website longer and read more than one page, lowering your bounce rate and illustrating to search engines that your content is valuable. Our law firm SEO department works on lawyer websites across the country. We are dedicated to optimizing our clients so that they rank on the first page of search results. 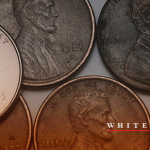 Whitehardt is here to help with any of your attorney advertising needs. In addition to website design, we also offer TV commercial creation, media buying, billboard design and placement, pay-per-click advertising, and social media management. Contact us today to see how Whitehardt can help your law firm.